This delightful page is an off-shoot of Jack-the-dog’s person’s main web page at The Inspired Room, which could easily have been my pick for Shout Out Sunday, but while I was browsing around in there, I stumbled upon Jack’s blog page and was so delighted with it, I knew I just had to share it with you. I even had that photo of Jack and Lily above on my desktop for a day or so – the one with them sitting in the all the leaves. I only took it down finally because I had the guilts about the possibility I was “cheating” on my two darlin’s while looking at it – do you think I was? But you’ve got to admit, these are two glorious dogs! Jack is a “goldendoodle” which I guess is a cross between a golden retriever and a poodle. I suspect Jack’s lineage from the poodle gives him that wonderful type of fur that does not shed, which I have always been interested in, if we were ever going to get another dog. No shedding? A dog without shedding furs? I can’t think of a more perfect situation. They’re darling dogs, though I was disappointed that there hasn’t been a post for them since November. I do love the inspiredroom posts, though. I always love to look at decorating and remodeling sites. Hi Beck! Can you send me your email address?? 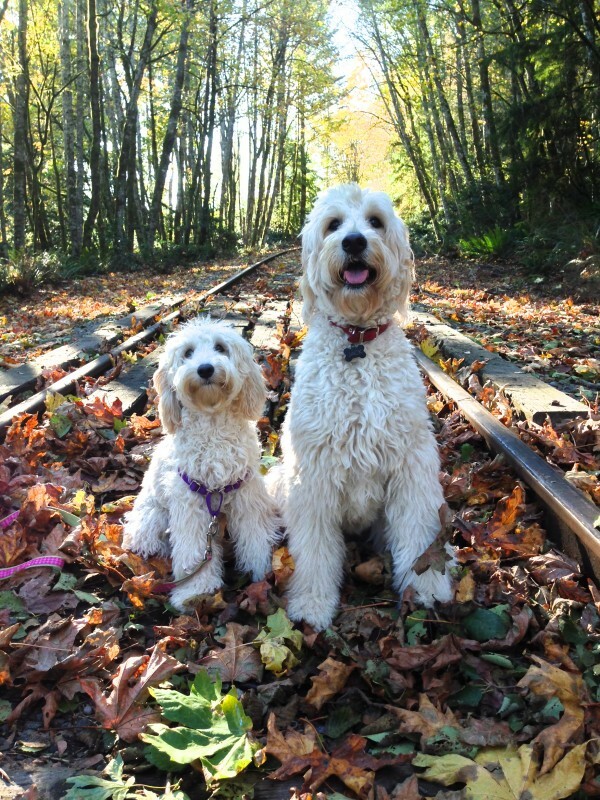 I babysit a pair of golden doodles several times a year. Awesome dogs. The house is full of hair all the time and it’s not mine, so I guess “don’t shed” has a variety of meanings. Love the photo of the dogs. This was a fun entry and I enjoyed perusing through this blog.